START A NEW SCI-FI SERIES BY BESTSELLING AUTHORS. 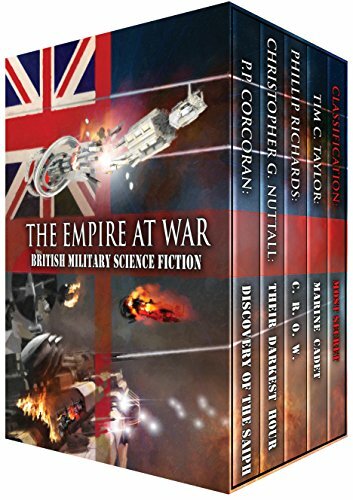 This bundle contains four science fiction novels and three exclusive short stories. The novels: Their Darkest Hour by Christopher G. Nuttall, Discovery of the Saiph by P.P. Corcoran, C.R.O.W. by Phillip Richards and Marine Cadet by Tim C. Taylor.